Complex IT management is…well….complex. Challenges arise, and just when you think the worst has happened more problems inevitably appear to complicate things. What usually launches as a standalone LIMS used in-house can transform, seemingly overnight, into a complex informatics system – integrating with third-party applications, sharing information with other organizations and vendors, and linking to an SAP platform. And when problems eventually happen, such as data bottlenecks or integration challenges, fingers are pointed in different directions – delaying resolution. 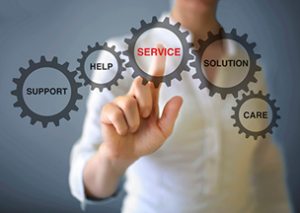 What is LIMS Managed Services? We talk to lab managers and techs who use LIMS in almost every industry – from pharmaceuticals to oil & gas. One key challenge is LIMS application management, upkeep and troubleshooting – beyond the scope of traditional Support and Maintenance Plans (SMPs). The decision always comes down to whether they should allocate IT resources or the budget to develop internal IT resources – a contentious issue for any industry. And with the ever-increasing complexity of data infrastructure, determining the right course of action is becoming more difficult. LabVantage created LIMS Managed Services to address this gap – whether it be cost- or knowledge-driven. LIMS Support and Maintenance Plans (SMPs) typically service the LIMS itself, providing product patches and maintenance releases, suggestions on best practices and uses of product features. But SMPs do not always cover third-party licensed software, upgrade services, or dedicated teams for enhancements or expansions. Simply put, LabVantage Managed Services is an extension of your LIMS SMPs, and takes the worry out of your LIMS management with cost-effective levels of dedicated service available to best fit the needs of our customers. It’s a comprehensive start-to-finish support solution which frees up customer IT teams to focus on their internal tasks and provides a single-source solution to address issues. Who Benefits From Managed Services for LIMS? No two Managed Services offerings are the same. Different customers seek different services. For some, the principal value will be in offloading the requisite knowledge to manage a complex LIMS. For others, improvements to margin will drive the value of a managed LIMS. For most, however, the decision is based on a combination of budget and infrastructure expertise. LIMS application management is all about creating customer peace of mind. There are customers who consider performance optimization critical, while others consider integration management or support with disaster recovery & risk management to be top-of-mind. For some the entirety of LIMS management falls outside of their principal focus, leading them to seek comprehensive management solutions tailored to their infrastructure. – Active monitoring & management of all LIMS environments. Most LIMS installations aren’t straightforward standalone affairs. LabVantage’s typical Managed Services customer has complex global system management requirements – often involving multiple vendors and organizations. In addition to managing internal infrastructure, they often have an SAP Interface, a hosting provider and separate application vendors. A big driver for our customers is what often occurs in these cases, a ‘blame game’ in which various stakeholders fail to assume responsibility for a root cause. This leads to resolution delays, which translates into lost time, which means lost revenue. The bottom-line outcome? Less management complexity, increased productivity and significant cost savings. Complex system installs are not uncommon, nor – unfortunately – are the ensuing challenges and costs. Managed Services was designed to minimize both of these with dedicated, highly-experienced teams available 24/7 onsite or remotely, eliminating the risk of fast-paced change with technology and regulatory environments. Learn more about LIMS Managed Services at LabVantage.